Founder and chief executive of Jobike Mehedi Reza said the country’s first two-wheeler on demand will now be available in Mirpur DOHS (Defense Officers Housing Society) on a pilot basis started with 50 bicycles. Apart from Cox’s Bazar, the service has already been launched commercially in two public universities--Jahangirnagar and Chittagong. For every minute, a rider will be charged Tk 1 in Dhaka, the same as Cox’s Bazar. However, on the two university campuses, the service is being offered for Tk 3 every five minutes. JoBike is a mobile application which enables users to find bicycles for use on a temporary basis. After downloading application users will have to open an account and then by scanning the QR code they can easily unlock the bicycles for use. The JoBike application has already been downloaded 35,000 times and it is increasing every day and on average every day their bikes are being used about 3,000 times. Currently, 100 bikes are running in Jahangirnagar University, 50 in Cox’s Bazar and another 50 in Chittagong University. However, within this week they will add another 50 bikes in Chittagong University as the demand is very high, Reza added. JoBike also donated twenty bicycles for accelerating development works at the Rohingya refugee camps in Cox’s Bazar, he added. 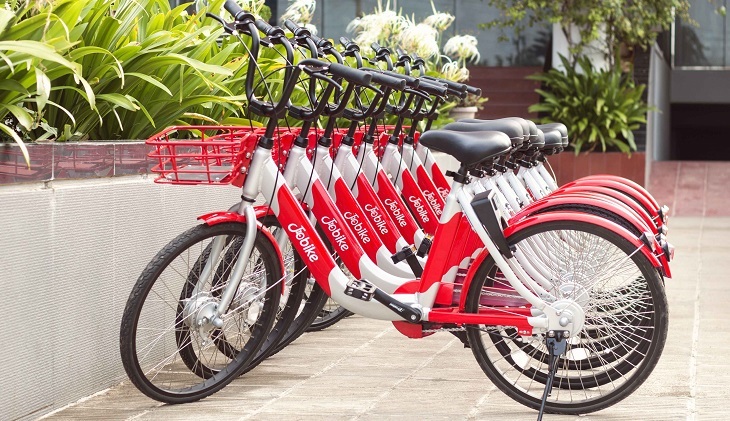 As it is a very environment friendly transport system, this kind of bicycle sharing service is very popular in different other countries like China and Singapore.